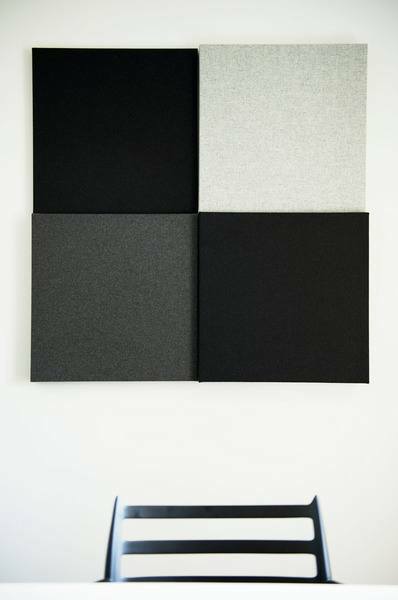 BuzziBlox from BuzziSpace is a group of acoustic wall panels in different depths and shapes that were developed to tune a room in the speech spectrum range. By using alternating depths, the absorption of different wavelengths into thick layers of foam will make sure the waves do not reflect back into the room. Ultimately, people using the room will enjoy a more pleasant sound experience. When placed against a wall, the Blox has the appearance of a piece of art while fully maintaining its initial purpose: to control and monitor sound.